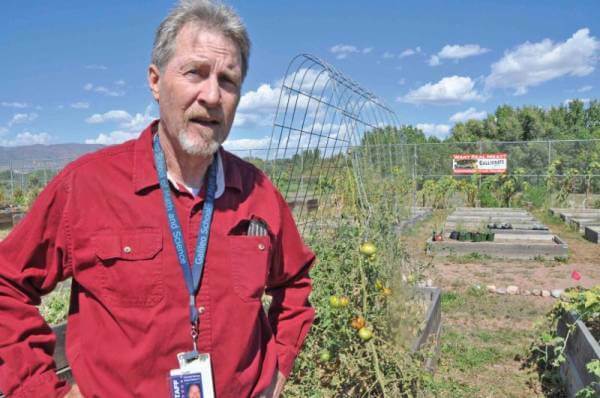 Gardening beds amended with bone- and bio-char are “bigger and greener and produce sooner” than those without it, according to Scott Wilson, above, garden coordinator at the Galileo School of Math and Science and a presenter during Pikes Peak Urban Gardens’ September Garlic Fest. The all-day educational event was held at Galileo this year, where Scott led garden tours and discussed the results of his experimental trials. Based on the results he’s seen, he recommended adding bone- or bio-char to your garden in the fall so it has time to “charge” naturally over the winter. You can find Callicrate bone-char, biochar, potting soil or gardening mix sold at the store or online. Wholesale accounts are also available. For more info on that, please e-mail Donna at DZ@RanchFoodsDirect.com. Gardening tip: Use the Bokashi composting method to speed up the decomposition process. CLICK HERE to learn more.